Why should car owners be the only commuters with voice-enabled convenience? The moment has finally arrived for cyclists to bark orders at their Alexa while on the road. At CES 2019, an event that showcased dozens of fascinating voice devices, Cybic revealed a first-of-its-kind "smart bike" equipped with Amazon Alexa. The Chinese company is the first to feature Alexa in a bicycle, let alone announce the release of three different smart bikes this summer – starting in the UK. You might be thinking what good an Alexa would be on a bicycle, or how it would even catch your requests while you're zooming down the road. But the more you think about it, the more sense it makes to have Alexa in your bike as well as your home or car. What if you need directions in a pinch? How about sending messages or making a phone call without digging around for your phone? What if you want to turn your house lights on and order a spicy tuna roll before you get home? Starting to appreciate the concept of having Alexa in a bicycle? There's plenty more Alexa can do for cyclists. Here's a recap of what we know about this unique bike. 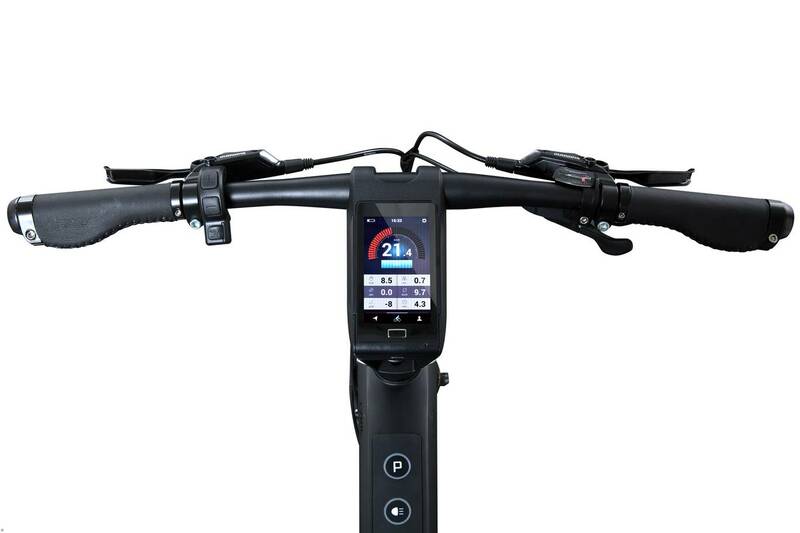 All three smart bikes – the hybrid Cybic Legend, the Cybic E-Legend and Cybic Zero (both e-bikes) – have touchscreen devices nestled between the handlebars complete with a mic and speaker. 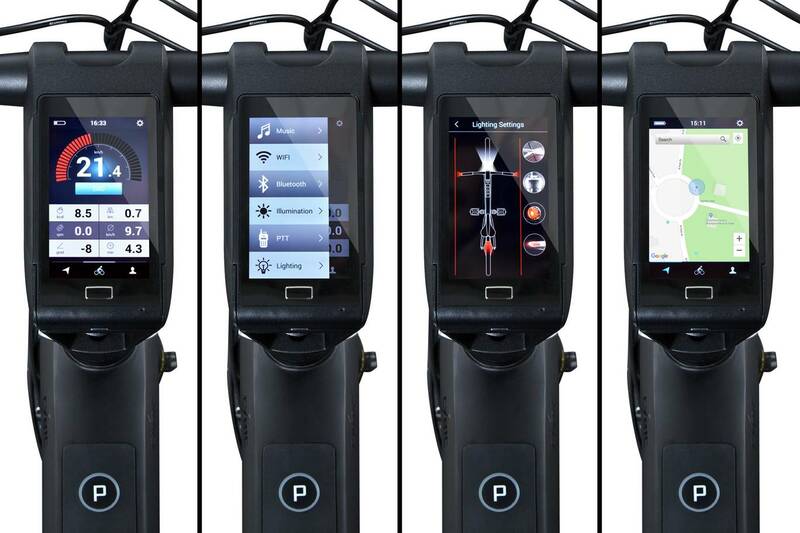 The idea is that cyclists can either tap the screen or use their voice to access functions like turning their front and rear lights on/off, address mapping, playing music, and all the usual Alexa requests like traffic updates, weather forecasts, and managing your smart gadgets at home. But that's not all a Cybic can do. It has an integrated GPS in case your bike gets swiped by a thief, and a security lock and alarm that can be accessed via the bike’s app. It also features three physical buttons under the screen for parking assistance, quick lighting options, and snapping a photo with any Bluetooth or Wi-Fi camera. Finally, Cybic gracefully added crash detection sensors that will automatically send your location to your emergency contacts. Now that's useful. Say you're blitzing down the road on your bicycle with the wind whistling in your ears and car horns blaring around you. Will the bike's mic capture your plea to Alexa so she can message your family about your late arrival? How will you hear her response through the bike's speakers in the midst of so much noise? These are very valid concerns that were echoed amongst those inspecting the Cybic bike at CES 2019. One such skeptic was Engadget writer, Nick Summers, who took it upon himself to test out the mic. His final verdict was that it's "surprisingly sensitive" and "picked up my 'Alexa' requests just fine," even on a show floor packed with bustling attendees. According to Cycling Weekly, Cybic said the built-in speaker and microphone were designed for outdoor use so, technically, you won't need headphones to interact with Alexa. You can, however, pair your smart bike with bluetooth headphones if you want better audio. But what about internet connection? Alexa can't work without it. Each Cybic bike is Wi-Fi enabled, but if that should fail there is an included Vodafone sim with three years’ worth of free 3G data. As a last resort, you can tether your bike to your phone's data. There's also the matter of price. So far, Cybic hasn't given the final word on how much their smart bikes will sell for. This ambiguity has given reviewers a very suspicious feeling—like when a pretty item in a store doesn't have a price tag. By the way, VOICE Summit 2019—the largest voice tech event of the year—is officially open for early registration! If you go in now, use the code FIRST500 to save $95 on your pass. If you're looking to aim higher, then use that same code to save on the All Access VIP pass. It would be a crime to pass this offer up. Register here.